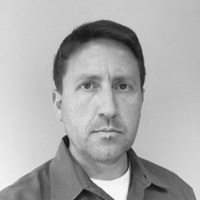 An EHS&S professional for nearly 20 years with extensive global and site operational experience, Aaron Duff is Director of Global EHS&S Standardized Solutions for Johnson & Johnson. Duff's experience has included strategic and tactical responsibilities both at the site and enterprise level over all areas of safety, health, risk management, engineering, and management systems. He is currently an active committee member of NFPA 51b, 350, 600, 601. Within Johnson & Johnson he has been leading a global initiative to standardize Safety Culture across an organization of 120,000+ employees in 250+ operating companies at 900+ sites, including manufacturing, R&D, offices, and fleet operations. The Johnson & Johnson Safety Culture initiative is outlined in their “Safety Culture Roadmap,” which describes the company's beliefs and commitment to safety as well as tactical requirements for all operations to embed into their management systems. Aaron is a graduate of Slippery Rock University of Pennsylvania, where he earned a BS in Safety and Environmental Management. He also holds a MBA in Business Administration from Dowling College School of Business. He is a Certified Fire Protection Specialist (CFPS). Before joining Johnson & Johnson, Duff held management roles at Bristol-Myers Squibb, DuPont, and The Hartford.